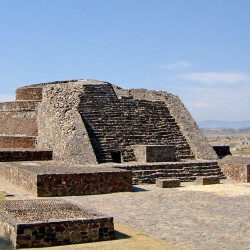 Calixtlahuaca is the Aztec name for the city that they built over the defeated city of Matlatzinco sometime after 1476. 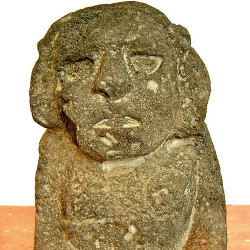 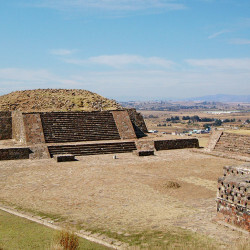 Before that, the city was home to the Matlatzinca culture from the 12th century onwards and under Toltec influence before that point. 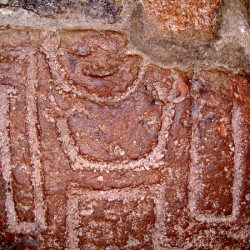 The area itself has been occupied by nomadic cultures as far back as 3000BC. 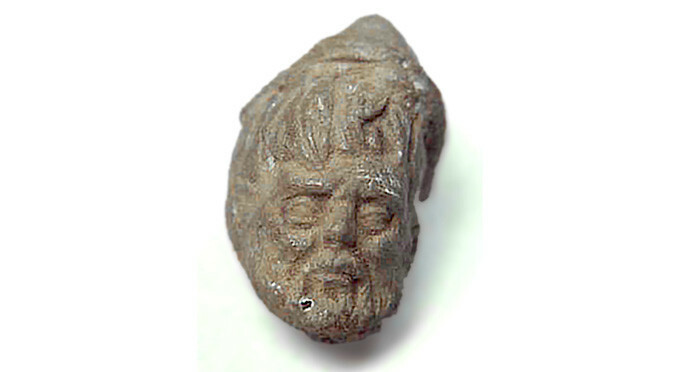 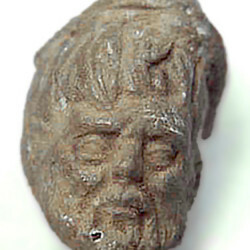 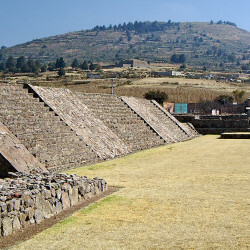 Although the city once stretched over a vast area and was home to tens of thousands of people, the archaeological site is small and dispersed across three small areas with the majority of the ancient city buried under the modern town. 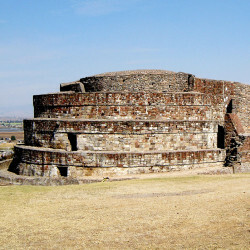 Whilst modest in size, the distinctive ruins that remain make the short 2km trip from Toluca well worthwhile. 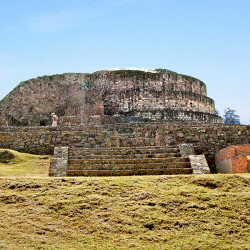 The first of the three areas is home to the striking Temple of Quetzalcoatl, which is a very distinctive circular temple structure that looks very much like a coiled serpent. 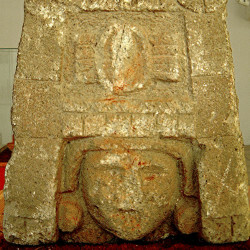 The second area, known as Group B or the Conjunto Tlaloc, is a short walk uphill from the Temple of Quetzalcoatl and consists of a single temple and a cruciform altar, called a tzomtantli, on which skulls were mounted. 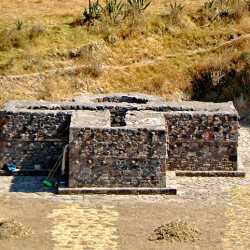 The third area is 300m back past the small site museum and consists of a residential area and a palace structure. 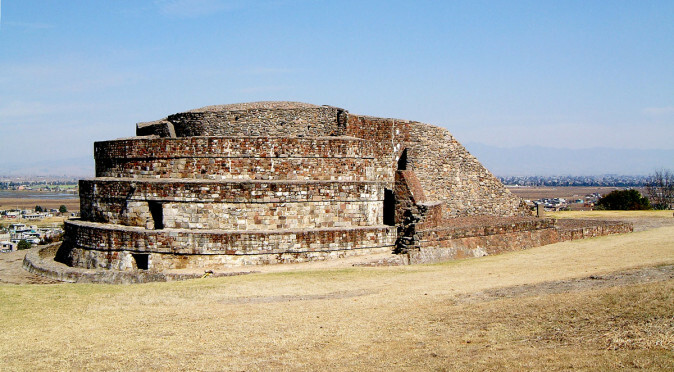 The lack of extensive ruins means that Calixtlahuaca is not a tourist destination and you should be able to peacefully contemplate the esoteric power that the elegantly simple geometric architecture exudes. 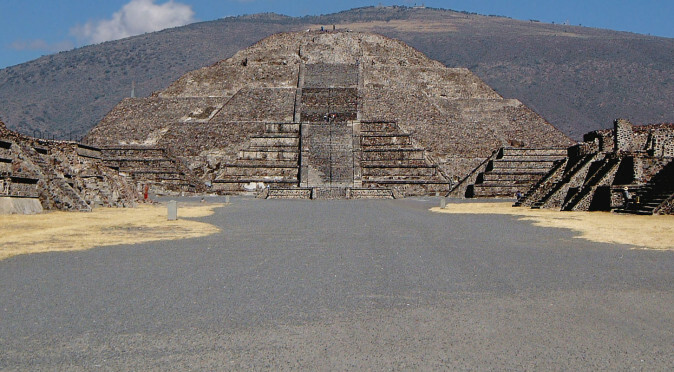 Since 2002 the site has been further investigated by a team from the Arizona State University, so there is every chance the site has grown substantially since these images were taken in December, 2001. 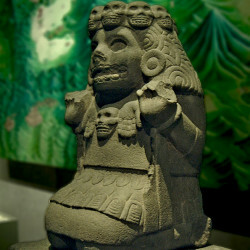 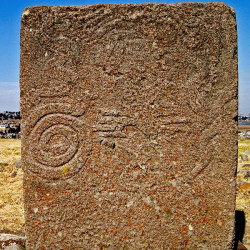 The nearby city of Toluca makes an ideal base for visiting Calixtlahuaca and the enigmatic hilltop site of Teotenango.